Reliance Jio Tariff Plans: The Reliance Annual General Meeting has been conducted Yesterday on September 01, 2016. In that meeting, the Reliance Industries Chairman Mukesh Ambani announced the Reliance Jio service release date as commercially. The Reliance Jio service will available from September 5, 2016. 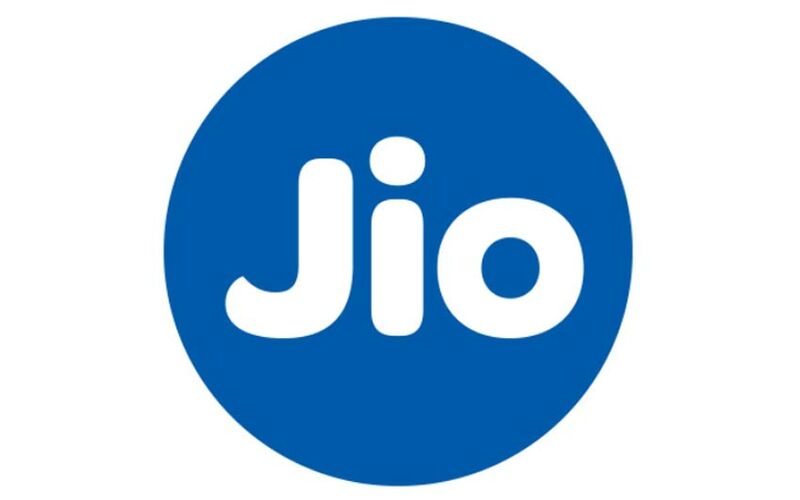 According to the report of Reliance Jio Tariff Plans, Jio users can get the free voice call, 4G data, video call and also the special applications by Jio till the end of this year 2016. Apart from this, all the Jio users will get the free unlimited local and STD voice calls. Also, the voice call is absolutely free on roaming across India. The below image shows you the complete plans as it is started from Rs. 99 to Rs. 4,999. The Unlimited 4G data is free for all the plans at night. The Initial Tariff Pack starts from Rs. 19. It includes the offers as unlimited 4G data in night time and 100MB of data in daytime. Unlimited SMS for local and National. By using the Reliance JioNet Hotspot App, you can use the 200MB of Wi-Fi Data. The Above feature is similar to the plan of Rs. 129. But, the plans of usage is the bit higher as the rate of the offer. Unlimited 4G data in night time and 750MB of data in daytime. Unlimited SMS for local and National. By using the Reliance Jio Hotspot App, you can use the 1.5GB of Wi-Fi Data. The offer is valid only for the 7 days. For the plan of Rs. 499, you can access the Unlimited 4G data at night and 4GB at daytime. The Jio Apps offers also available in this plan. The Worth of Jio Apps Subscription is Rs. 1,250. After this offers, the users need to pay for this feature, if they need it. Valid for 28 days. You can use the 8GB of Wi-Fi Data by using the Reliance Jio Hotspot App. The highest offer in this plan, Rs. 4999 under the category of XXXL. By using this, you can get the 150Gb WiFi data for 28 days. And, Unlimited Local and National SMS. 75Gb of 4G data at day and Unlimited at night. 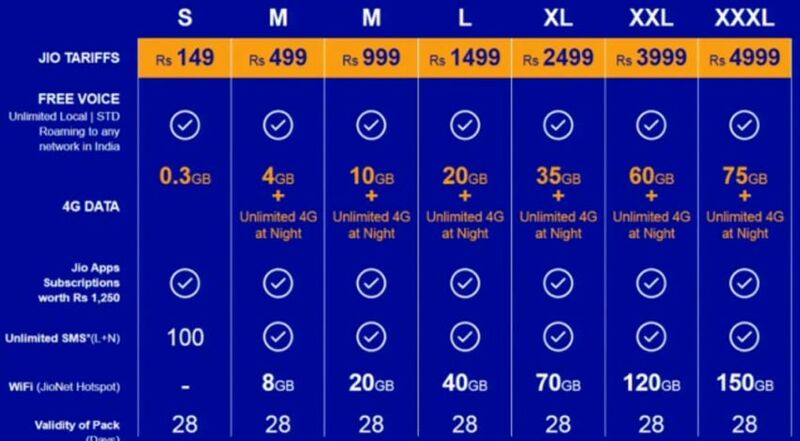 Share this “Reliance Jio Tariff Plans” with your friends and Stay tuned for More Updates!